Khrushchev served as First Secretary of the Communist Party of the Soviet Union from 1953 to 1964, and as Chairman of the Council of Ministers, or Premier, from 1958 to 1964. 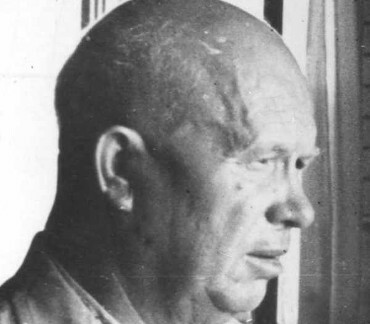 Khrushchev was responsible for the de-Stalinization of the Soviet Union, for backing the progress of the early Soviet space program, and for several relatively liberal reforms in areas of domestic policy. 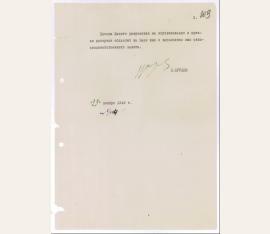 Hoping eventually to rely on missiles for national defense, Khrushchev ordered major cuts in conventional forces. Despite the cuts, Khrushchev's rule saw the most tense years of the Cold War, culminating in the Cuban Missile Crisis. Zentralsekretär der KPdSU und sowjetischer Staatspräsident (1894-1971). Typed letter signed (with initials). O. O. 1½ SS. auf 2 Bll. Gr.-4to. 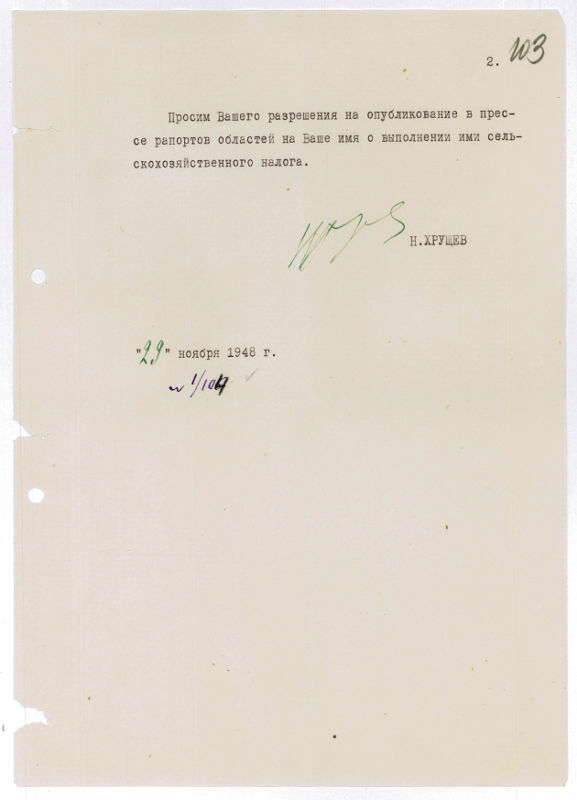 To Stalin about the current tax revenue by the agricultural tax: "[...] Ukazom Prezidiuma Verkhovnogo Soveta Soyuza SSR ot 13 iyunya 1948 goda byli vneseny izmeneniya v otdelnye stati zakona o selskokhozyaystvennom naloge. V rezultate proizvedennogo oblozheniya, summa selskokhozyaystvennogo naloga na Ukraine vyrosla protiv proshlogo goda na 641 mln. rubley i sostavlyaet v tekushchem godu 2101 mln. rubley. Vnesenie izmeneniy v otdelnye stati zakona o selskokhozyaystvennom naloge partiynye i sovetskie organy Ukrainy vosprinyali kak ukazanie na neobkhodimost udelit bolshe vnimaniya delu mobililzatsii sredstv naseleniya i uluchshit organizatsiyu uplaty naloga. Vpervye selskokhozyaystvennyy nolog dosrochno vypolnyaetsya v razmere godovogo zadaniya v tselom po oblastyam i respublike. Na Vashe imya uzhe postupili raporty o dosrochnom vnesenii selkhoznaloga v razmere godovogo zadaniya ot Voroshilovgradskoy, Stalinskoy, Izamailskoy, Chernovitskoy i Zakarpatskoy oblastey, a ryad oblastey zakanchivayut vypolnenie godovogo zadaniya v blizhayshie dni. V tselom po Ukraine godovoe zadanie na 28 noyabrya vypolneno na 87,4 %. Prosim Vashego razresheniya na opublikovanie v presse raportov oblastey na Vashe imya o vypolnenii imi selkhozyaystvennogo naloga [...]". - Left margin with punched holes (small defects)..